vione is using Smore newsletters to spread the word online. All about this wild animal! A Saber Toothed Cat a.k.a Smilodon, lived in North America about 10,000 years ago in the Pleistocene epoch. But their fossils have been found in North America, Central America, and South America. A Saber Toothed Cat is mainly about the same size of a panther (a bit smaller) that are alive in our era today. The Smilodon is mostly a member of big cats. ex: tigers, lions, etc. The Saber toothed tiger is an extinct animal, so it really looks like tigers/lions from our era today. The big, cats have very long teeth (called canines) that would go up to 7 inches. It was mainly good for eating other animals very easily and quick that were way bigger than the animal itself. The color of the animal is sadly unknown because of how old they are, but the Saber toothed tiger is similar to tigers in Africa. 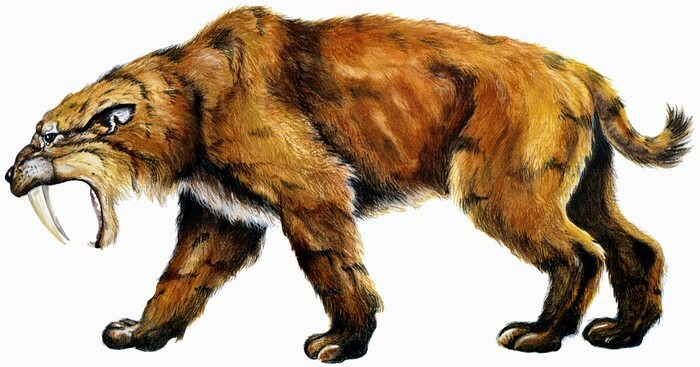 The Saber toothed cat had a very muscular body, which was very easy for them to defend themselves, and very easily to wound their prey with a bite or two. The Saber toothed preys were mostly very big animals, like elephants, mammoths, rhinos, and very other bigger animals. They have short legs and short tails, not exactly like tigers, but very similar to them. The large cat lived in very green areas, with grass and other sources of plants. Mostly shrubby areas and pine forests. 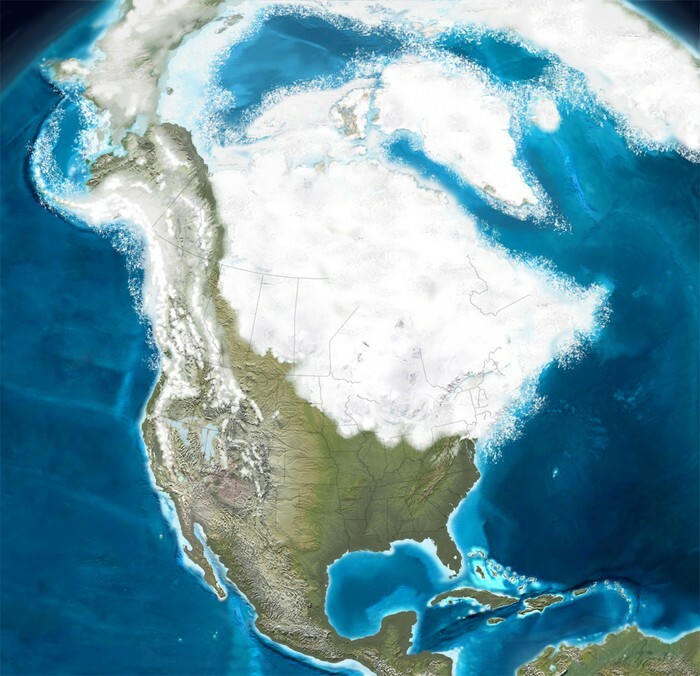 North America, where they lived mostly. They're long canines (teeth) plus their short legs and tail. The Saber toothed tiger is not the only saber tooth cats in the world! There are very other similar ones, called: Megantereon, Homtoherium, and Barbourofelis, etc. The smallest member of Smilodon family is Smilodon gracilis. It has the weight around 150 pounds in their era. Even though their teeth can kill very large animals, it is very fragile and can break into many pieces. They could open their mouth to a 120 degree angle, crazy right? !